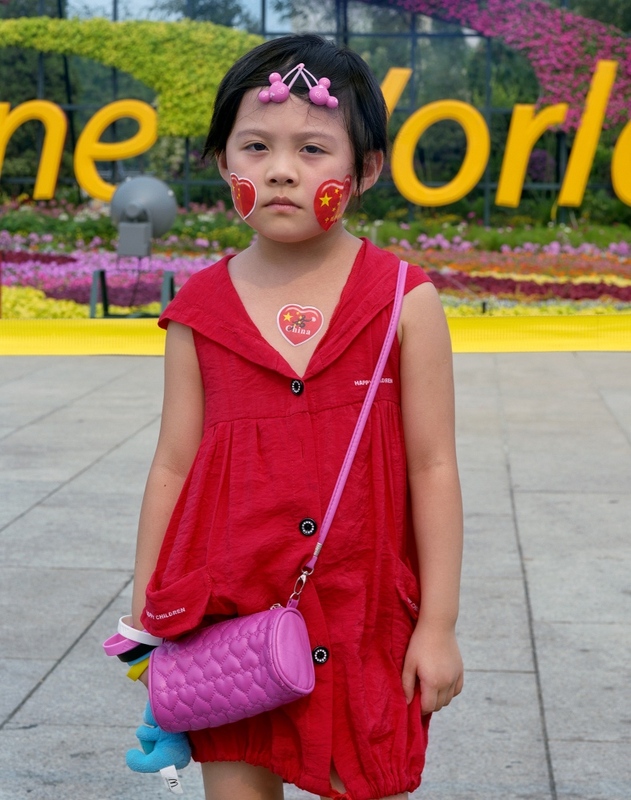 Yang Zeyu, 6, from Dalian. 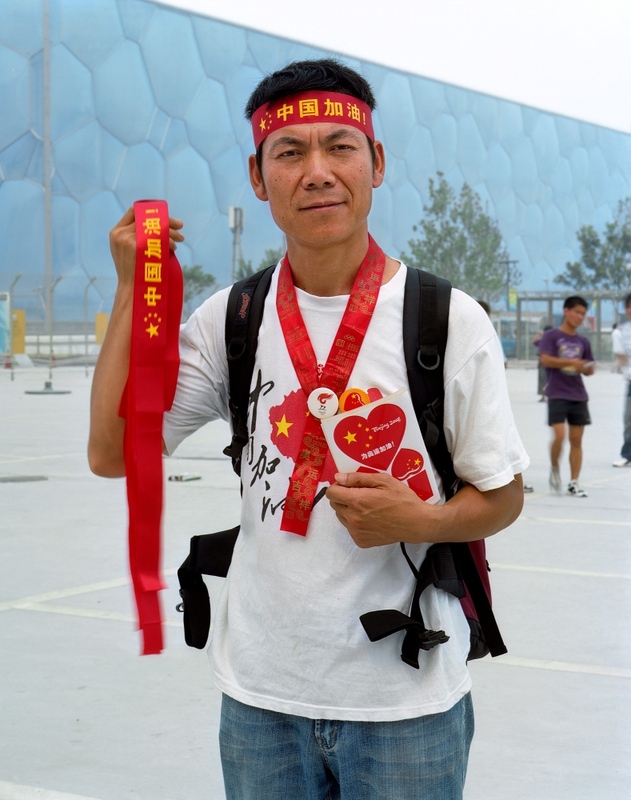 Li Baokui, a volunteer "torch relay guard", from Anhui. 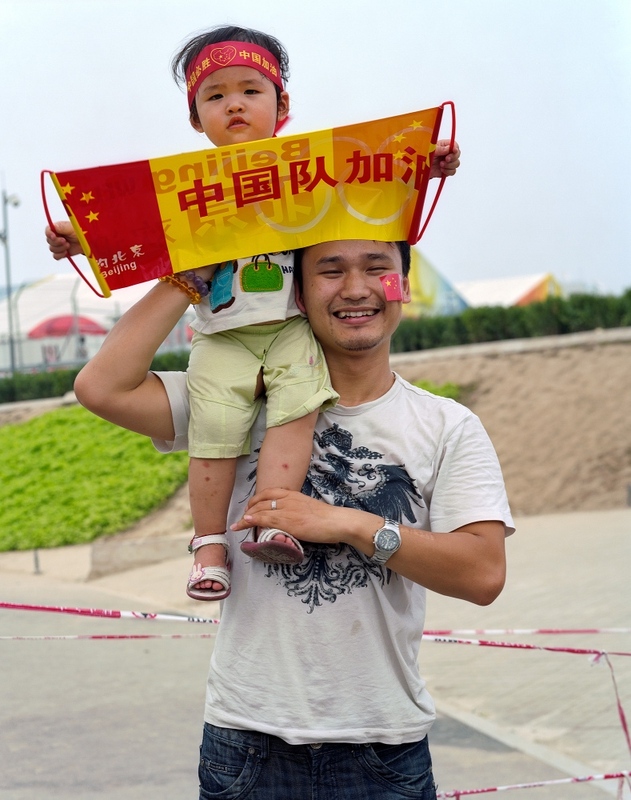 Wu Lin, 24, and his daughter Wu Xinyuan, 1 and a half years old, from Jiangxi. 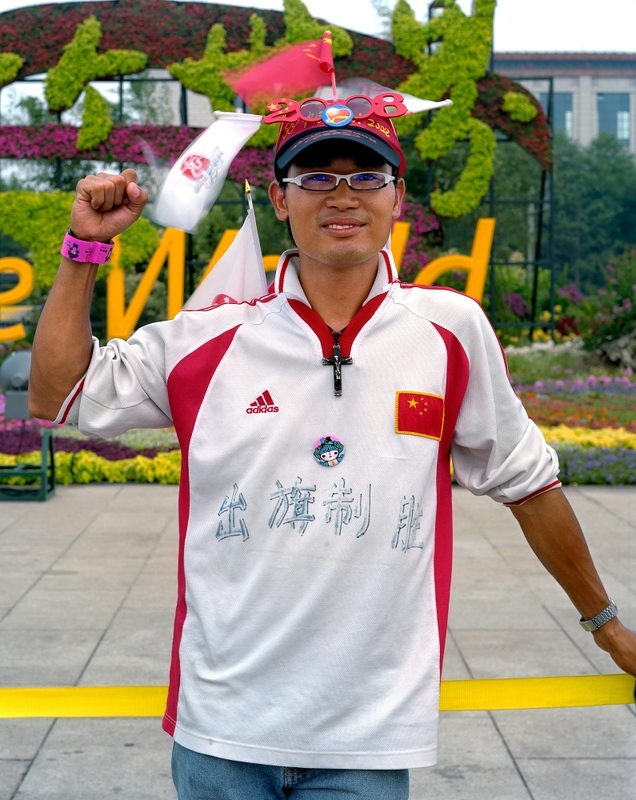 Silly Egg (alias), a university student from Guangzhou. 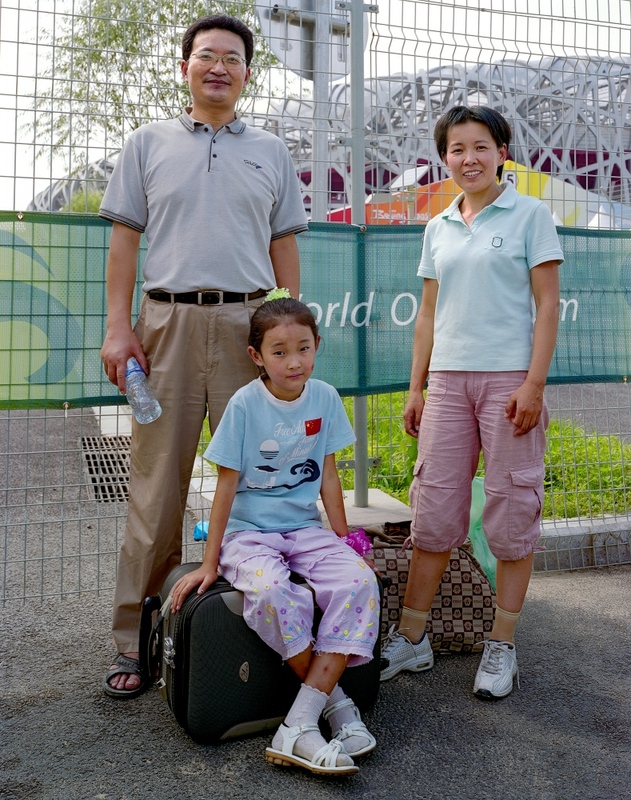 Wang Taoping, 37, with his wife Zhang Xiaoyuan, 37 and daughter Wang Litao, 8, pass by the "Bird Nest" on their way home to Hebei. 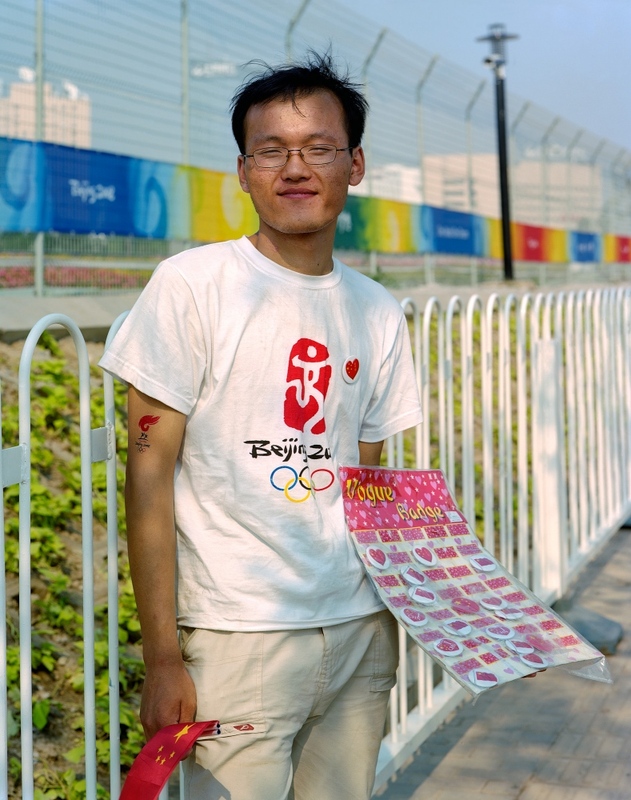 Wang Shuiying, a university student who sells souvenir stickers outside the venues, from Anhui. 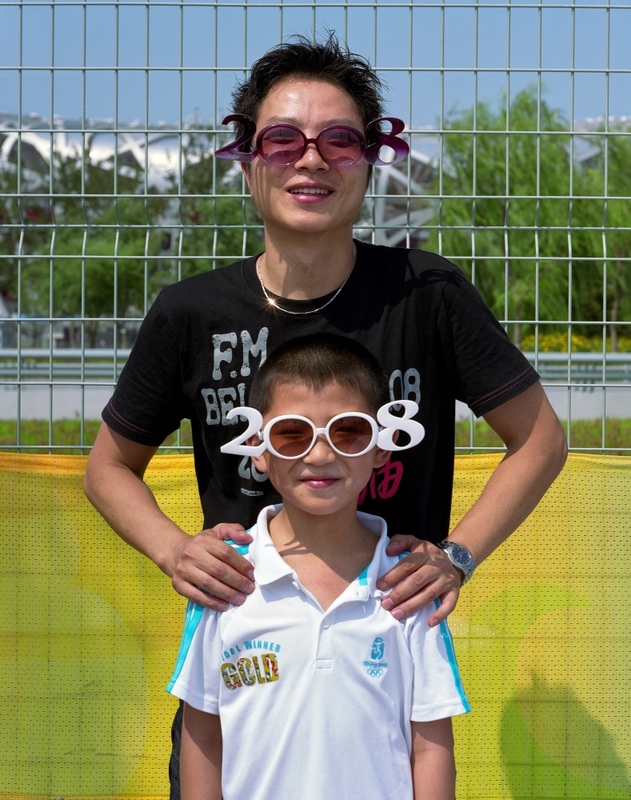 Ling Zhiyun, 38, and his son Ling Haonan, 10, from Yangzhou, Jiangsu Province. 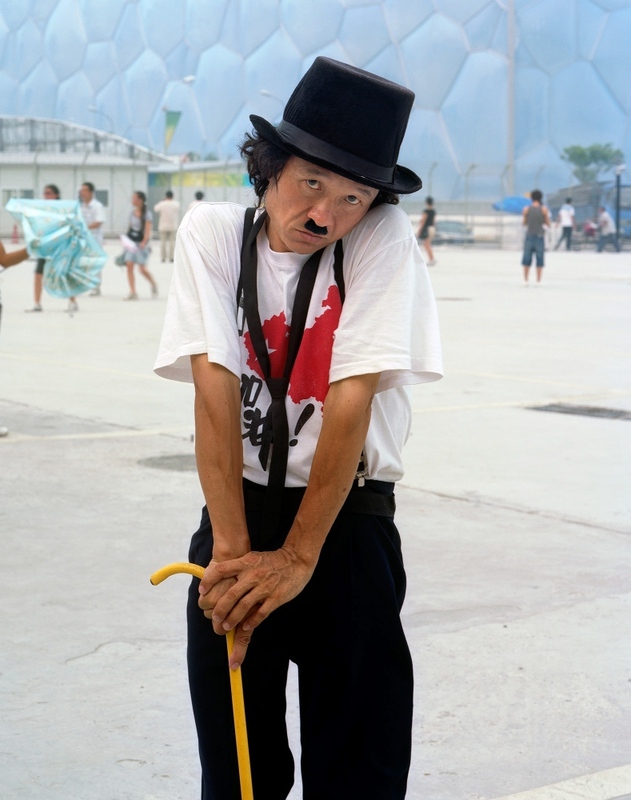 Li Kaiwei, 45, Chaplin impersonator, spent 2 months to walk on foot from Chaozhou, Guangdong Province, to Beijing. 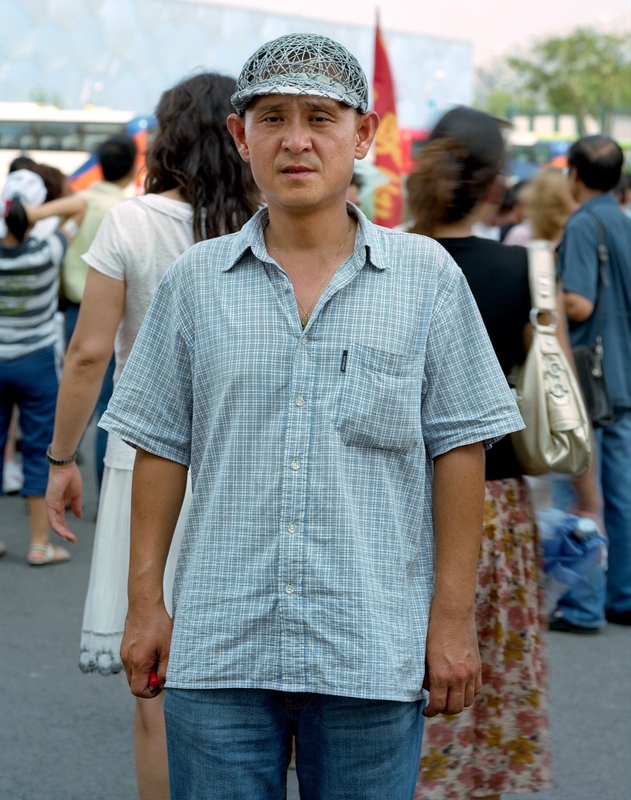 Zhang Hui, 36, with his DIY "Bird's Nest" cap, from Shenyang, China. 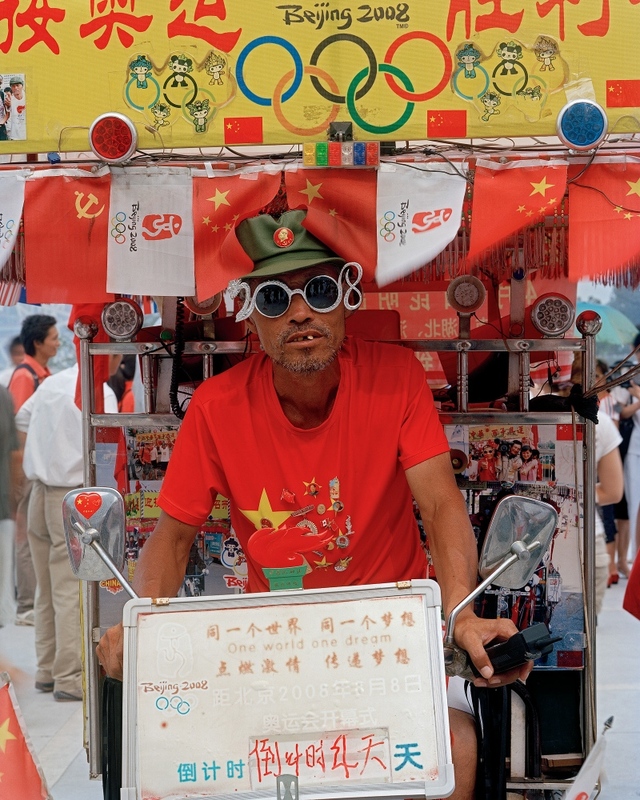 Shi Changlin, 56, a Heilongjiang native, rode his decorated tricycle to Beijing for over 3600 km from Yunnan province where he ran a small business. 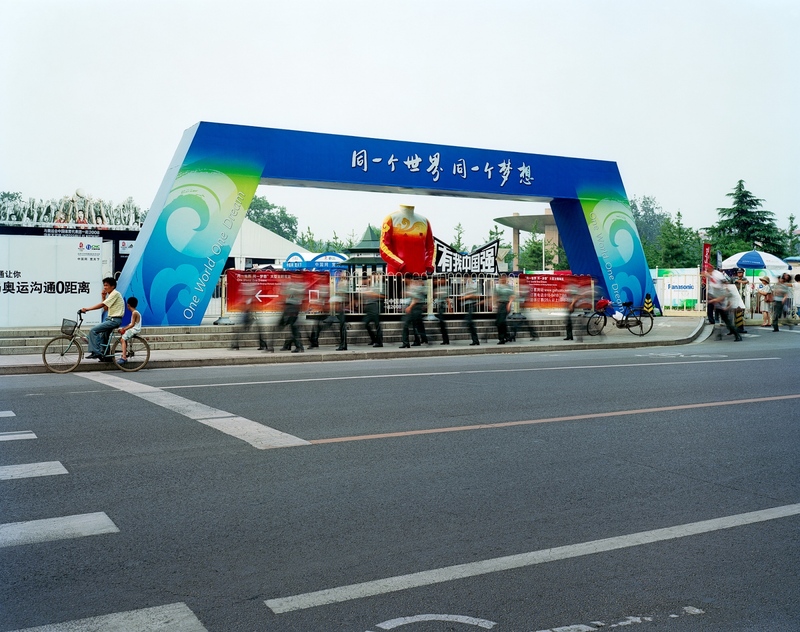 The Beijing Olympic in the summer of 2008 is unarguably the largest Olympic everhappened, in terms of the number of people or money involved, in the history of themodern Olympic. Many may still remember its spectacular and spellbinding openingceremony, or the problematic torch relay. And it's also be a special one. 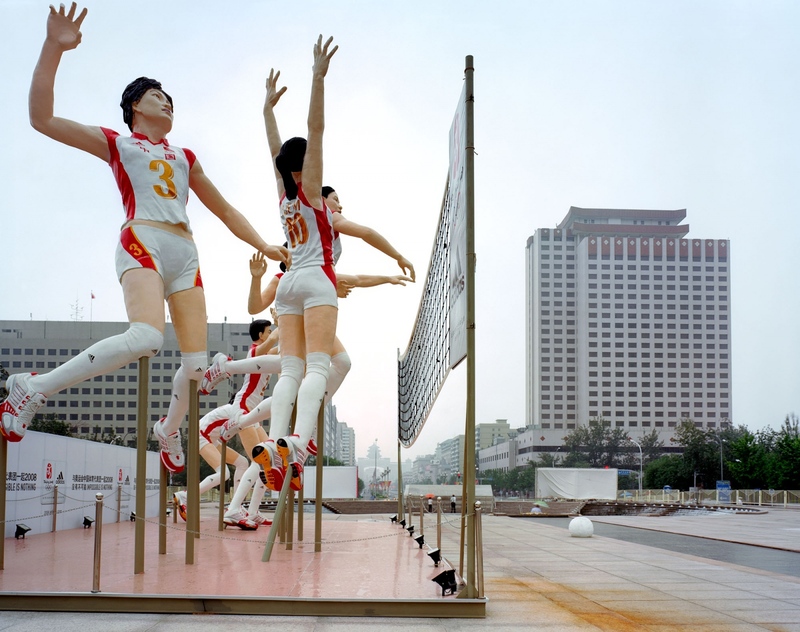 For the Chinesegovernment, the Olympic events, as well as the medals won by Chinese athletes, were agreat source of national pride. 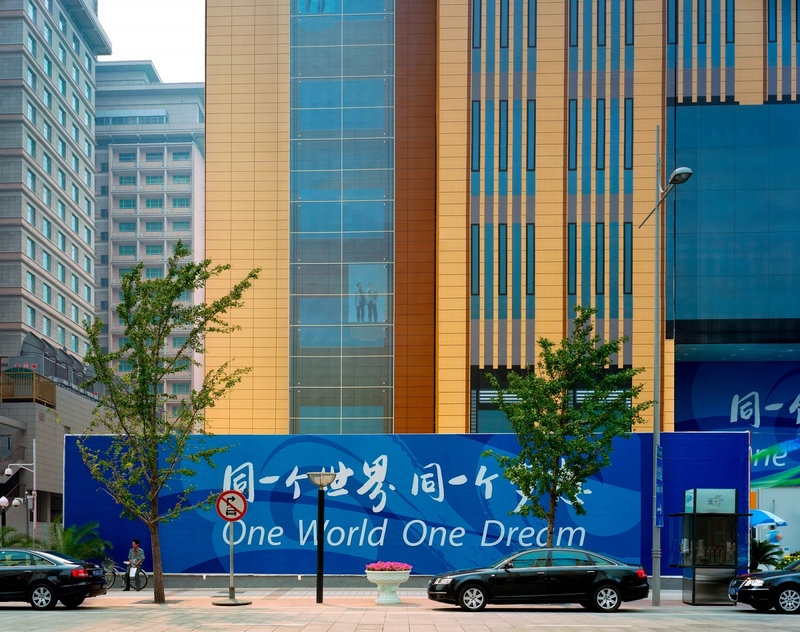 It's a way for general publics to channel their patriotism, orone may say, recovered the loss of the Sichuan Earthquake which happened monthsbefore the game. 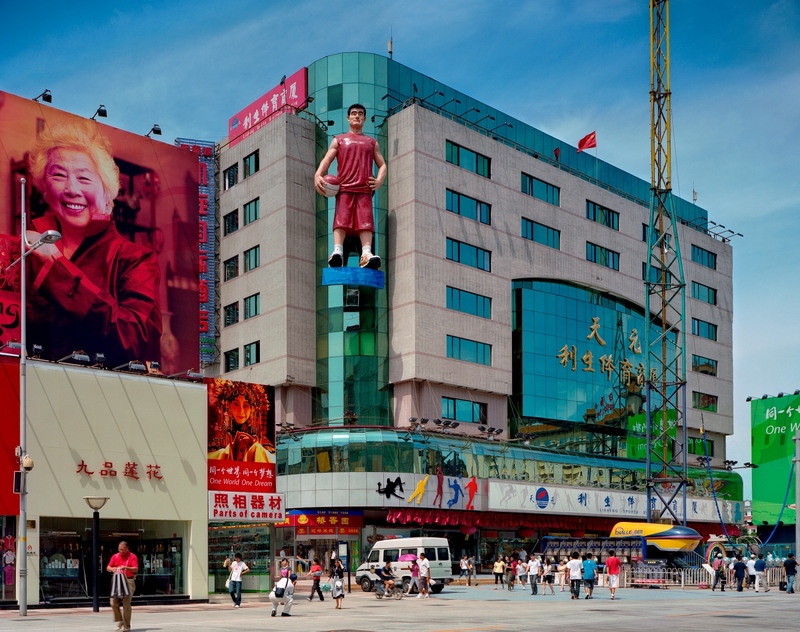 The series portraits of citizens from different places of China were done outside thevenues of the games. Many of them just couldnʼt afford tickets of the game, they just camethere and hang around. 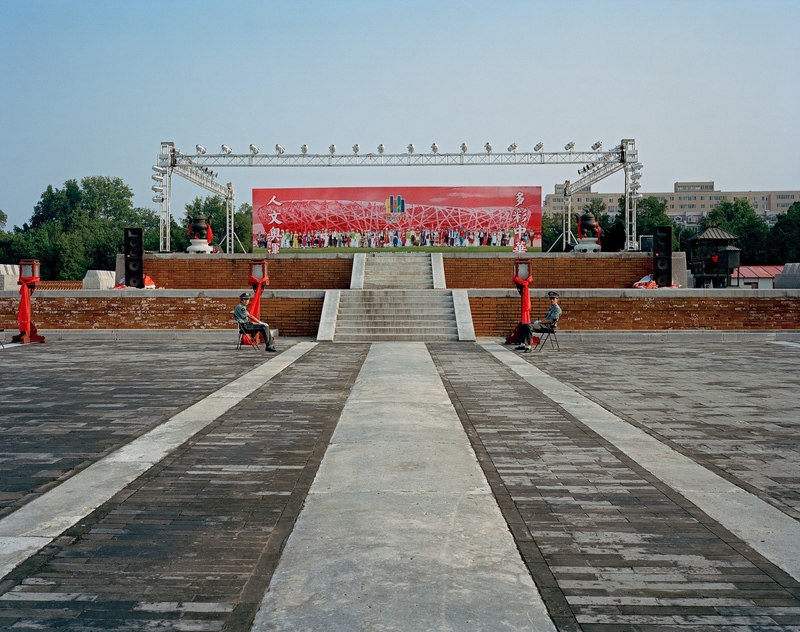 They treated the venues which were built with billions of dollars,notably Beijing National Stadium, a.k.a. "Bird's Nest" and Beijing National Aquatics Centera.k.a. 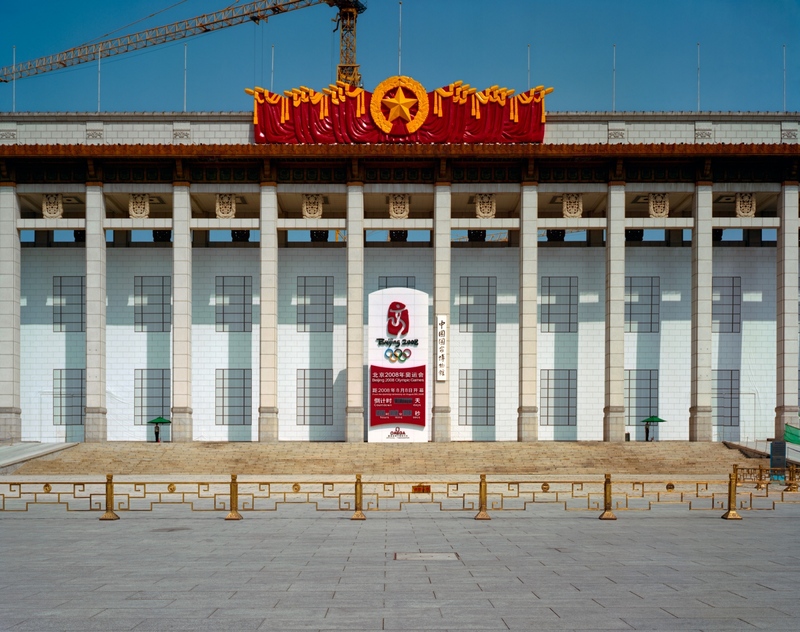 "Water Cube, as other historical monuments in Beijing. Or as I mentioned above,they came there for the feeling of "national pride". 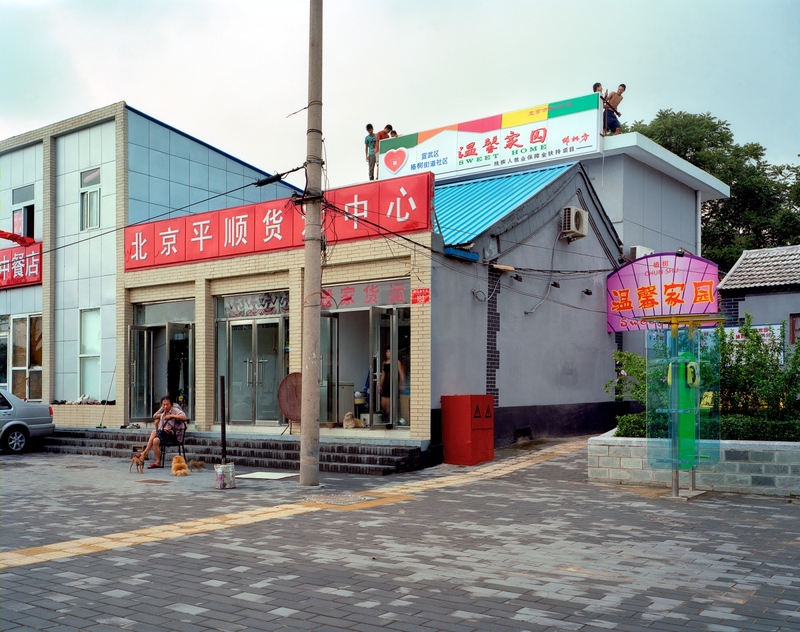 These venues together with the nearlyecstasy atmosphere in beijing city, worked like a magnet to draw huge number of peoplefrom different provinces of China to the capital city. They behave in the same collectivemanner, they show their pride as if the state built the whole Olympic for them. However inreality they were not being a part of it and they didnʼt have a single complaint. 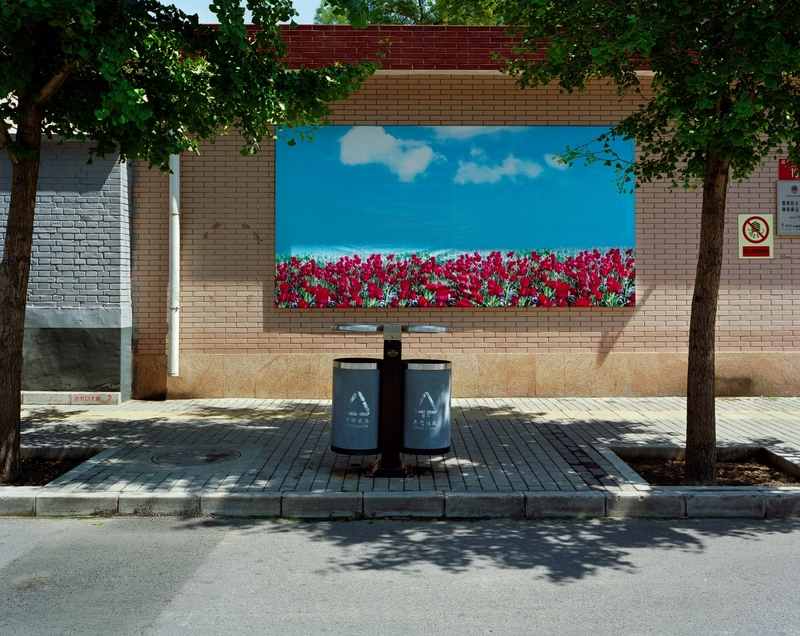 At the same time the cityscape of Beijing spoke for itself. While there were massive effortsto facelift the city, there is hardly a harmony between the space and the people itself. Thisambiguous relation sounds like telling the other side of the story in which the propagandanever covers. 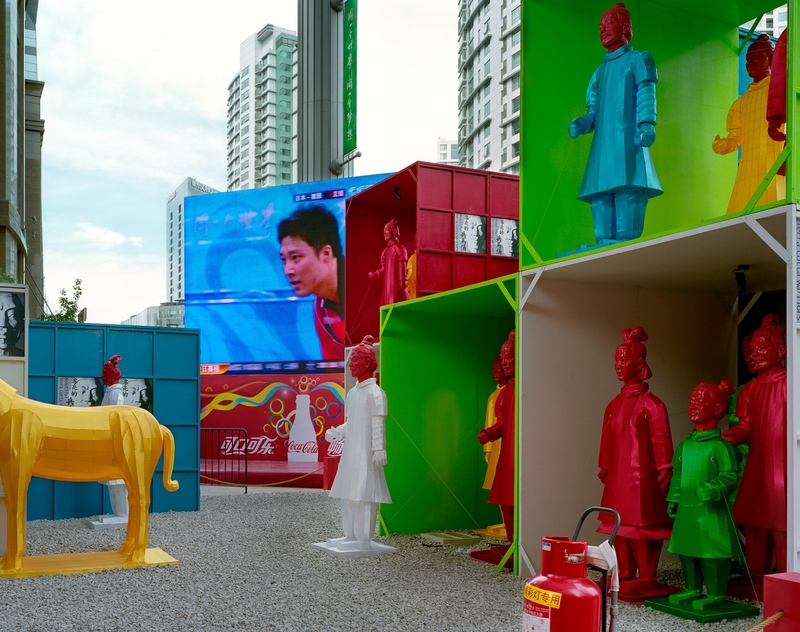 I may say the Chinese people themselves are the real “Olympians”,investing their hopes on the event, and they know they have little chance to be rewarded. 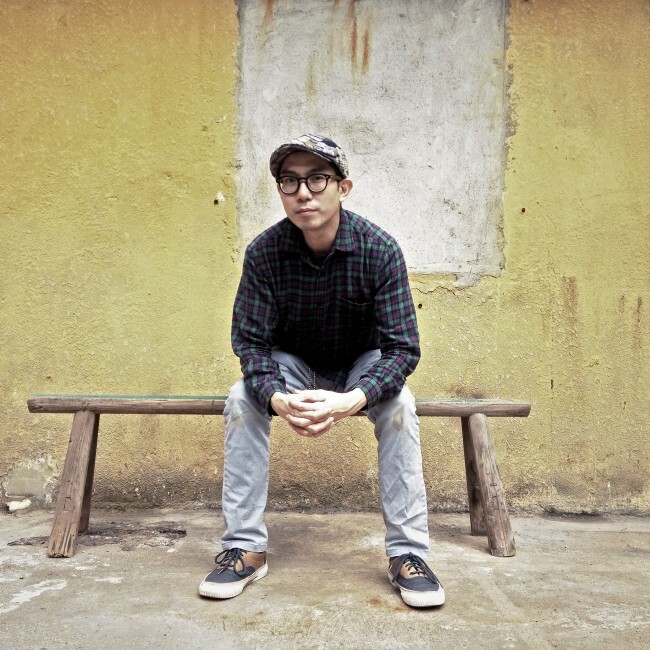 By Dustin Shum — A Labyrinth in the Dark: Kowloon Walled City After its demolition in 1993, the Kowloon Walled City remains a fascinating architectural and urban..
By Dustin Shum — Past interviews or reportage of my exhibitions from various printed media. Please click to enlarge. By Dustin Shum — The police knocked on my door twice At home one afternoon, I heard a knock on my door. Since I rarely get visitors, I thought at first it must be a..
By Dustin Shum — It isnae Disney! 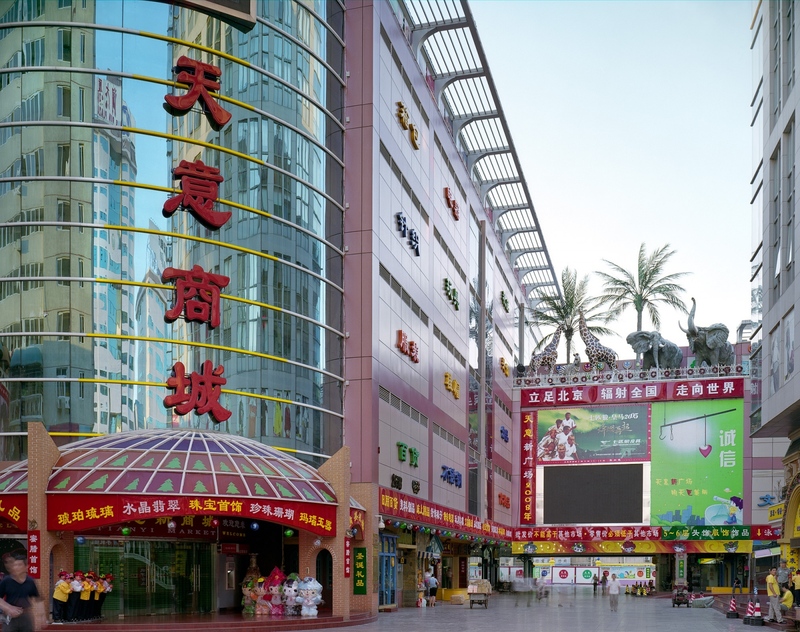 In the lunar new year of 2006, a peak season for mainland tourists, Hong Kong Disneyland shut its gates to stem the aggressive..
By Dustin Shum — 20XX: A Shopping Mall Odyssey Not long before he died, the late North Korean dictator Kim Jong Il made a visit to the supermarket which he..
By Dustin Shum — Home in the Blocks Walking by a newly built public housing estate one day, I saw families happily moving into their new flats. The smiles on their..